Julia's Butterfly is pure and perfect with a classic touch of sparkle throughout. 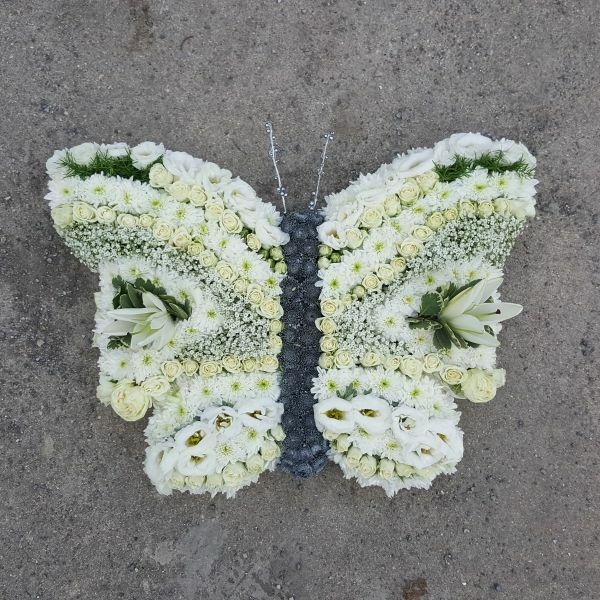 Plentiful rosebuds, lisianthus, gypsophila and chrysanthemums complete this butterfly, with just a token touch of lily. This is a large butterfly.